Happy Flannel Friday Holiday Extavaganza! I don’t mean to be a bit grinchy, but I tend to stay away from religious holidays in storytime. So here is a non-holiday-themed-non-flannel storytime activity. I recently came across this hilarious picture book. 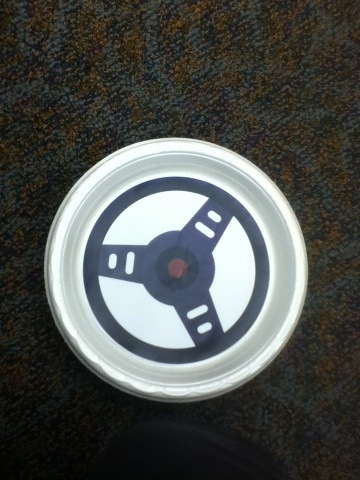 I made these steering wheels using clipart. I made twenty of them. I cut them out and glued them to paper plates. I handed them out to each of my storytimers. 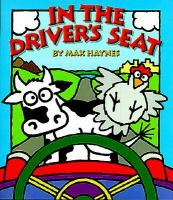 As I read the story, they “drove” along with their steering wheels. We all had a lot of crazy, giggly fun. The only problem was that they didn’t want to give them back. This group is an excitable bunch, so I just let them take them home. I can easily make more. Library Quine is hosting the big Holiday Extravaganza! And check out the archive on pinterest. Love this idea. I, also, shy away from religious holidays and so this month we are doing dinosaurs because what says holiday good cheer better than a Tyranosaurus Rex? I’ve actually never done a Christmas/holiday storytime either. I made my “Rudolph, Rudolph” for fun. Maybe I’ll do one next year. We usually have a bunch of other stuff going on during the holidays (puppet shows and gingerbread houses being the big ones). Love the steering wheels, btw. Super fun. i know, with all the amazing FBs from the Holiday Extravaganza, I’ll have a ton of good options. This idea is fantastic in it’s simplicity – thanks! well, trying to wrestle the steering wheels away from them at the end was a little hairy, but it’s a really fun activity up until that point. Cate: We don’t really do holidays in story time or library for that matter, except for our Holiday Family Fun in which we hit the three in December. So…. for that we’ve come up with a few.